An estimated 39% of of females aged 15+ experience physical violence in Kenya. 26%of females in Kenya have already experienced domestic violence in the last year. Making matters even worse, this violence can leave women vulnerable to human trafficking and other forms of abuse. According to the Global Slavery Index 2016, an estimated 56.6% of people in Kenya are vulnerable to slavery. Free Methodist missionary Ashley Carroll is partnering with national leaders, Free Methodist World Missions, and Set Free to catalyze an abolitionist culture in Kenya. Alongside her female Kenyan colleagues, Ashley works to disciple young female leaders aged 20-26, mentoring them to become role models and sources of support to other women and girls. This discipleship group is trained to help shift harmful value systems that perpetuate injustice, striving to build a resilient community with zero tolerance for gender-based violence and human trafficking. This collaborative ministry is a partnership between the Free Methodist Church in Kenya, Free Methodist World Missions, Set Free, International Child Care Ministries, and other groups, seeking to create transformation beyond the church and into the community. Help Ashley create new futures and end modern slavery in Kenya. ICCM is one of our strategic partners actively preventing a child’s vulnerability. 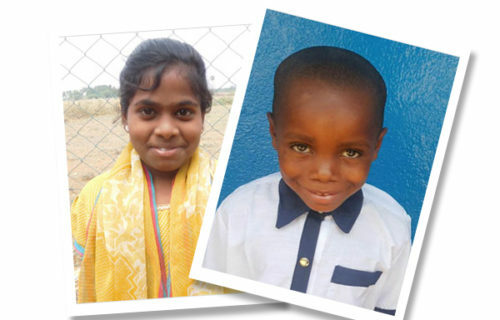 For $30/month you can sponsor a child and offer hope for a brighter future.